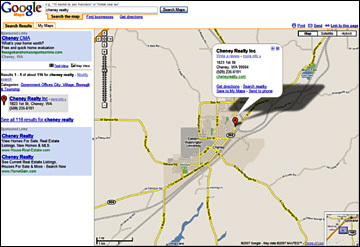 Cheney Realty, Inc. is conveniently located on First Street, in the Banner Bank Business Center. Stop by and see us if you are in the area. THANK YOU FOR VISITING. COME BACK AGAIN SOON.